Next post: Episode 51: That’s Mistress Dork, to you. Thank you for the wonderful messages of support for my sister and my family. This one goes out to Pam. Special thanks to contributers Zabet Stewart, Bruce Murray of The Zedcast, Tim Ralphs, and Chris Sherry, whose excellent podcast I managed to mispronounce, twice. And it’s one of my favorites! I am such a dweeb. For the record, it’s KA-flooey, not KER-flooey. Make some time for a new knitting podcast – Knitting Uncensored. Large hugs to Chris of Briar Rose Fibers for staying on board as a sponsor. Check out her schedule here. Plus a warm welcome to Tactile Travel and Sea Socks 08, and hearty thanks for asking me to travel with them. Despite how coolly I delivered this news in the podcast, when they asked me, I assure you, I squealed like a little girl. Finally, after years of searching, I’ve found it: This toe + this heel + calf shaping (easily achieved by switching needle sizes) – stupid unnecessary ribbing + incredible I-cord Bind Off = The Perfect Sock. Background music for The Secret Lives of Stitches was performed by Green Druid. For an unruffled bind-off to use with 1×1 ribbing, I’ve found that nothing beats the tubular (i.e. Kitchener) bind-off. It’s very professional looking, very stretchy and pretty much invisible. I will have to try an i-cord bind-off, too. Yay! Another series to look froward to! And I am glad you have found the recipe for your perfect sock. I do hope that your family are doing OK. I was so sorry to hear about your sister. It is credit to you that you have gone ahead with this new series when you must be so worried about her. I wish her a speedy recovery. I hope that your sister has a speedy recovery. If she’s asking for handknits, it should be okay. Knitting can heal almost anything. I can’t believe how the piece on scouting took me back to my 15+ year stint in Girl Guides of Canada. It’s a time I look back on fondly- to my knowledge we didn’t have the faux-Indian stuff going on (thank goodness, being in Winnipeg it would probably have gotten the whole thing disbanded) but there was a wqeird faux-pagan element to it, especially in Brownies (with the elves and sprites and dryads and the singing and dancing around a magic toadstool with the owl and pond that was a mirror that we had to look into after spinning around three times…) Anyway. The other day I was talking with one of my old group leaders, and realized that after a break of a few years, I do miss it. I may yet go back. I think this is my first time commenting; I only recently started listening, but I went back and listened to most of the episodes, and I just wanted to say thank you. I really enjoy listening to your podcasts. I haven’t listened yet…. Downloading as I type this! Just had to add my agreement on the Widdershins heel! It rocks! And now I’ve finished downloading so I’m off to listen. Thanks so much for another episode! first off, good thoughts and wishes to your sister and all the best for a quick and complete recovery from her injury. Thank you so much for playing the Knitters Uncensored Promo on your podcast! You’re waaaaaaaayy more than just fantabulous! Great episode as always. Thoughtful, witty, funny, informative….the perfect companion. Your focus on scouting intrigues me. Have you read the book, On My Honor: Boy Scouts and the Making of American Youth, by Jay Mechling? From the back flap: “Mechling shows how the organization [Boy Scouts of America] continues to edify and mentor young ment against the backdrop of controveries over freedom of religious expression, homosexuality, and the proposed inclusion of female members.” It’s academic reading, but I thought you’d at least want to know the book is out there. Great show, really enjoyed the essays this week. I wasn’t in scouts, but I was in 4-H. Almost all of the things I did in 4-H were craft related, although they didn’t include knitting. I was an ace at macrame though 🙂 4-H is definitely where I learned my appreciation for crafting. A question: How does one contribute to the Secret Lives of Stitches? Let me know please? I adore your podcast! omg! i love the piece about the sock and the music! link to the words please. also loved the lanyard – which i’ve heard read by someone else around mother’s day too. excellent. so good to hear your podcast again. best healing wishes to your sister. Omigod! You answered my prayers for a Search button, AND it works like a charm, AND you put up more about the perfect sock! You truly are a goddess! I must race to my ipod to listen to this episode, then charge to my stash for sock yarn to throw in my travel bag. I’m actually flying from Chicago to the Wirral in 4 days to visit family, with daytrips to Wales & Scotland. 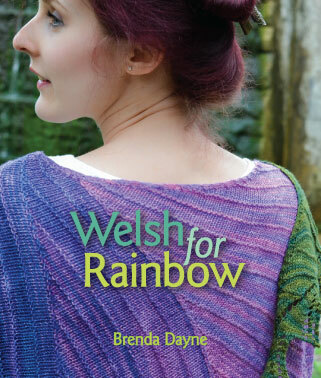 I will be thinking of you, listening to you, knitting, and revelling in all things on your side of the pond! 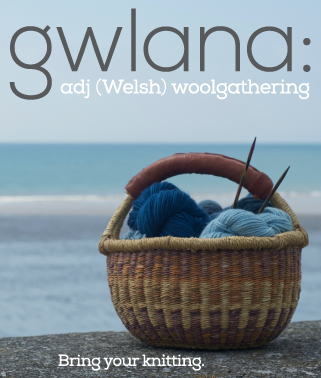 Even planning to hit the Wool Fest in Cockermouth on the 29th-30th – wheeee! …And more healing thoughts to your sister from me. Brenda, I’m sorry to hear about your sister Pam and hope she is on the road to recovery. I downloaded the podcast last night but made myself hold out until my morning walk – in the hot humid Minneapolis summer weather. You are so right, wool would never do for a mobeus, especially this summer. Since a sib of my knit sib is a sib to me too, let me know if there is anything I can do for Pam. Perhaps a nice hot dish (she’ll know what I mean), stash of yarn, reading material, etc. I desperately want to join you on the Tactile Travel trip to Italy this fall, but unfortunately (or fortunately) I’ll be completing my goal of knitting on all seven continents. I’ll be heading to Africa with yarn and pointy sticks in hand, knitting (a pair of your “perfect socks”) and looking for more stash. Thanks for another series and I can’t wait for the s’mores. All the best wishes for your sister’s speedy recovery. I can only imagine how terrible the news must have been at first, and what a relief to know that she’ll be fine. So nice to hear your voice today. So glad you sister is in good spirits and hopefully on her way to a speedy recovery. I have been listening for only a few months now (got an iPod for mother’s day). I sometimes knit while I listen, but I hate to admit that you join me on much more mundane things like doing the dishes and laundry. You are great company while home with my two small children all day (I listen to you in one ear and the giggling / screaming in the other)! Looking forward to the sock pattern – just recently got bitten by the sock knitting bug! Keep up the great work – I really enjoy what you’re doing. Thanks. Hi Brenda. I really enjoy your podcast. I wanted to express my wishes for your sisters speedy recovery. Yikes. You’re right, life can change in a matter of seconds. I’ll be thinking good thoughts! I laughed when I read that she got you to promise to knit her something. She’s no dummy! 🙂 Thanks again for a great podcast! I’m one behind, so I haven’t listened to June’s yet. Brenda, my best wishes for a swift recovery to your sister. That is a very scary accident! i’m so glad I listened to your podcast this morning instead of saving it for last (yours was the first podcast I listened to last year, and it’s still the best). You’ve inspired me to the most extravagant and impulsive behavior I can remember — I’ve put a deposit on the Italy trip. For many reasons, it’s just exactly what I’ve been wanting to do. I’m completely amazed that it’s actually happening. Thank you for all the good work you do to make Cast On for us. with information on how to work the Sherman heel/toe for different numbers of stitches. I’ve used that heel for years; it’s one of my all-time favorites. Add my healing thoughts to the rive flowing Pam’s way. This start of the new Series got me thinking. I posted about it on my blog. My prose isn’t worthy of repeating here, but I thought you might like a peek at what you started in my brain. And I’m in complete agreement about the Widdershins heel. Brilliant! Now, I must try the rest of the features of your perfect sock…. Wonderful podcast, as usual. I really enjoyed Zabet’s reading of the yarn essay. I have talked to plants for years, but need I talk to my yarn stash? I did not realize that my projects would go more smoothly if I spoke a kind word to my skeins!!! Please give my best to your sib, Pam and I will send vibes and mental yummy cookies for her fast recovery. This is Charle from “Charles lifestyle and knitting” blog! I been listening your pod cast ontil now..Iam really injoyed alot!!! Listening your podcast after finshing work all my tired day so much brighter!! I have one requist for you! I just started(you know already) my “Knittng Video Cast” This week is my thrid episode right now! CAN YOU shout out my Knitting Video Cast for me? Iam trying to promot my video cast…Right now i only have a two feedback!! PLEASE check it out see what you think !! Brenda, my best wishes to your sister for a speedy recovery! She is in my prayers. I love th epod cast and I’ve just completed my 2007 Girl Scout season yesterday! What does a NYC troop leader do with hormonal 10-12 year olds? She teaches them how to knit!! And where do we have our s’mores? In a coffee shop on 1st Avenue with a flame and bamboo skewers (I drank heavily after that meeting!) And where do we camp? At the Boston Museum of Science with 600 of our other sister Scouts! Yes, we drove 4 hours, toured the city and slept that night in the museum. Very cool. As I tearily accepted their hugs and kisses last night and promises to return in the fall, I couldn’t help but hope that I had made the slightest impression on them. I must have, they want to organize a “Sit and Knit” at the coffee shop! ps: if you want to know anything about Girl Scouting, I’ll be happy to contribute. Because… On my honor, I will try to serve God and my country, to help people at all time and to live by the Girl Scout Law. Cold Creek Farm – thanks for recommending this book. I found it at my local library and would have never bothered picking it up if you hadn’t suggested. I found the book most enjoyable. Brenda – best recovery wishes to your sister. sounds like she is a tough nugget – making it all the way to the hospital with a broken neck! That one for the family annals, for sure! The clarity of a french horn soothing me to rest with â€œTapsâ€ is the strongest memory of Camp Ouareau for me. Each evening, after lights out, some of the camp counselors would sit on a hill above the cabins and tents and sing sweet songs to help us wind down from a busy day of swimming, crafts, canoeing, sailing and beading. Some of the songs I sang to my own child originated here, in the memories of hot summer nights, buzzing mosquitoes and the warmth I felt, lying in my sleeping bag, in my home away from home. Every nightâ€™s serenade was finished with a rendition of â€œTapsâ€. It seemed the last note would echo through air forever. My feelings about summer camp are bittersweet. I never wanted to go, yet by the end of summer I was crying as I boarded the bus to the airport for the flight home. My parents wanted to send me away from our small mining town in northern Labrador, Canada, for the summer. From 11 to 16, I was sent to Camp Ouareau in the Laurentiens of Quebec. Years one to three along with my sister, and eventually alone, I went there for five years, at first for one month and then for the whole summer. Every summer, I arrived at camp resentful and unhappy and suffered miserable homesickness. The letters I sent home to my parents were heart wrenching requests to return home. Yet, mixed in with the sadness, I have memories of learning to build campfires, canoeing across the lake to Blueberry Island for a weenie roast over an open fire, warm â€œbug juiceâ€ (Kool-aid) and oranges once a week, the â€œSunday School Picnicâ€ when everyone dressed up as their favorite hillbilly, the pride I felt at finally achieving my black bead and could swim in deep water. The camp had a spirit of itâ€™s own, called Bymph. Unseen, yet felt throughout camp, Bymph was the bringer of sunshine and laughter, and embodied the cheerful camp spirit. Each session had a tableau play, when the campers acted out skits about camp life. At some point in each skit, the players would â€œfreezeâ€ while the girl playing Bymph would skip and play around to the great enjoyment of the audience. The camp director, Madeline Ferguson, known as Ferg, was a remarkable woman. I respected her as a strong female role model. Ferg was tall and square-built, straight talking, wise, and compassionate. Her energy and enthusiasm for the outdoors was infectious. She represented to me everything that was good and solid about Camp Ouareau. In my first year at camp, I was caught stealing gum from a councilorâ€™s cabin. I had been sneaking in and stealing packs of â€œBig Redâ€ chewing gum from the councilorâ€™s stash for some days when I was caught and brought before Ferg. She sat with me and listened to my tales of woe at having been sent to camp against my wishes, of my longing for home, of my loneliness and feelings of rejection from my sister (who was thoroughly enjoying her camping experience and had no time for me), and my difficulties making friends. She made an exception and let me call home, which made a world of difference. She didnâ€™t punish me, she just listened. Ferg passed away in 2003. Itâ€™s hard to imagine her not being there, as she always is in my memories of Camp Ouareau. Itâ€™s been 30 years since I walked along Lake Ouareau, yet it feels like yesterday. My own Emma is almost 12. She would love Camp Ouareau, and Bymph and sailing and the weekly picnic. Iâ€™d love to send her but itâ€™s beyond my reach. Sometimes we lie on my bed with my old camp songbook and I sing her all the songs. I tell her all my stories about camp and she knows all the words to â€œThose Silent Hillsâ€, â€œBargesâ€ and â€œTapsâ€. After all this time, the happy memories of Camp Ouareau definitely outweigh the sadness. Once in a while, just for a moment, I catch a whiff of camp – an unmistakable smell of water, and trees, and campfire and I am transported back in memory to beautiful Lac Ouareau and all the people I knew there. Knitorious Amelia: Frankly my dear..I don’t give a knit. I can’t imagine a better piece to capture the Scouting for Grownups theme than that wonderful piece by Billy Collins, “The Lanyard.” Amazing how one small, seemingly insignificant piece of plastic can bring back so many memories for so many of us. The nostalgia of it is enough to bring tears to one’s eyes. Sometimes it’s the simple things. And what a coincidence that tomorrow is my daughter’s first day of Girl Scouts. I’ll be seeing it all unfold as a parent now. Where do the years go? Brenda, please forward my own healing thoughts to your sister along with everyone else’s. What a scary experience; how lucky and tough she is. Thanks for your hard work and all the creativity you feature. Hello Brenda! I must tell you, I’ve been sitting (hours at a time even) trying to catch up to listening to your podcast. I started in January and just caught up yesterday. It was actually kind of sad because there was no line-up of Cast On that I could listen to for an hour or two while I knit. It took me a lot longer to catch up than I thought it would, seeing as I listened to about 15 episodes throughout my winter break from college, but I finally made it! I am looking forward to new episodes that I can listen (and comment) on with the rest of the Cast On community. I love listening to your show! I don’t have many friends that knit (though I’m slowly converting them with a Fiber Arts Club that I started at my college) and it is great to hear someone tell me all this information that is circulating around the knitting community. I am also looking forward to your Brother Amos’ Sock Pattern. I read and listen to you talk about it and I am very excited! I also wanted to send you, your sister and your family my prayers. I hope she gets well soon! Thank you again for your podcast! Keep on Casting On! Hi, Brenda! I haven’t commented in a while but want you to know that I haven’t missed a word or tune or thought. I wait patiently for each podcast and then download and wait for a time when all of the men of the house are gone and sit down to enjoy and knit along with you. I appreciate what you do so much and thank you from the bottom of my heart! Knit on, friend! Just wanted to send some belated warm wishes for you and your sister! I’ve been behind on my podcast listening and blog reading and I let out an audible gasp after I queued up Episode 50 and heard you say she broke her neck. How terrifying! I’m glad she’s in good spirits and I hope her recovery is smooth and complete. Looking forward to this series! I was a miserable, miserable Girl Scout back in my day, so I need to earn some merit badges, stat! Please keep us updated on your sister’s condition – I hope she’s recovering speedily! Thanks for all the great music you sandwich in between all the equally great content in your podcast. I fell in love with the music of Ingrid Michaelson that you’ve recently featured, so I bought her album “Girls and Boys” from iTunes. If other listeners enjoyed her music from your podcast they will love the entire album – it’s fantastic. Thanks not only for enriching my knitting life, but also for expanding my musical tastes. I also think you should think about marketing this podcast as a radio program to NPR or something similar. Here’s my pitch: you have an excellent radio voice – it’s rich and friendly and well, comforting also; you have great pacing and presentation of your material, not to mention the obvious passion you have for knitting and such; your essays and themes address concerns everyone has, knitters or not; and best of all, you do all these with a wonderful sense of humor. I listen weekly to the Car Talk guys even though I know absolutely nothing about how cars work. But I so enjoy their sense of humor and presentation that I will waste a perfectly good hour listening to them help other people with their car problems. I’m convinced that many other non-knitters would listen to your podcast for some of the same reasons. I couldn’t help but notice you’ve gotten an attack of spam comments. If there’s anyone who does NOT deserve handknits, it’s spammers. Ugh. But I wanted to suggest activating the Akismet plugin in your Wordpress if you haven’t already (you’ll need to go to the Wordpress web site to get an API key to activate, but it is well worth the few minutes of trouble). Akismet is pretty darn good at catching the spam and leaving the real comments. Best wishes to your sister … I hope she is improving. She sounds to be in good spirits! Brenda, please could you email me? I’m looking for information about advertising with you. Thanks. I’ve listened to about half the pod-cast on the way in this morning. I’m sorry to hear about your sister’s accident, but am glad she’s in good spirits. I’m wishing her the best! Brenda – My thoughts and prayers are with your sister. I thank you for the time, effort and thought you put into your podcast. You are my escape, my private time, my moments to reflect. From the music to quips, tips to chatter – your podcast makes my life just that much better. Brenda — first, best wishes to your sister and family — wonderful podcast, as usual. Secondly, I have a submission, but could not find on the submissions page where to send said submission — it would not surprise me if I simply overlooked the info, but, alas, I didn’t find it anywhere! re. pam. h0ly cr@p! what a scare. i’m glad she’s going to be ok. and – yeah. mpls. in summer. was just there a couple weekends ago, and — well, you know about the weather. but if pam’s going to be sitting in a/c ever, she might in fact want a neck warmer during rehab. you know. walk all sweaty into a/c, chill down quick, brr. stiff muscles, etc. you get the picture. a lightweight wool really might work. re. calf shaping. working on my first pair w/ calf shaping, for my spouse. re. staying up: yep. socks w/o calf shaping seem to do kind of a watermelon-seed thing, where the socks squirt your leg out of themselves in slow motion. Each week I receive an email from “Springwise” a trendspotting website. This week at the top of thier list was a neat little spotlight on something fibre-related. I though you might be interested. Here is the link Have a great week! It was great hearing the podcast and I hope your sister feels better. I don’t know if you heard but Ryan just posted to the Dulaan Yahoo group the final totals for this year. She was posting to the group before she updated the blog but I see that the blog has been updated as well.